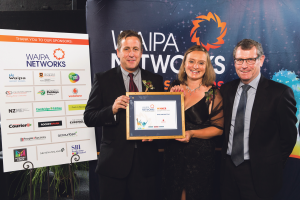 Raglan was well represented at the 2017 Waipa Networks Waipa Business Awards. 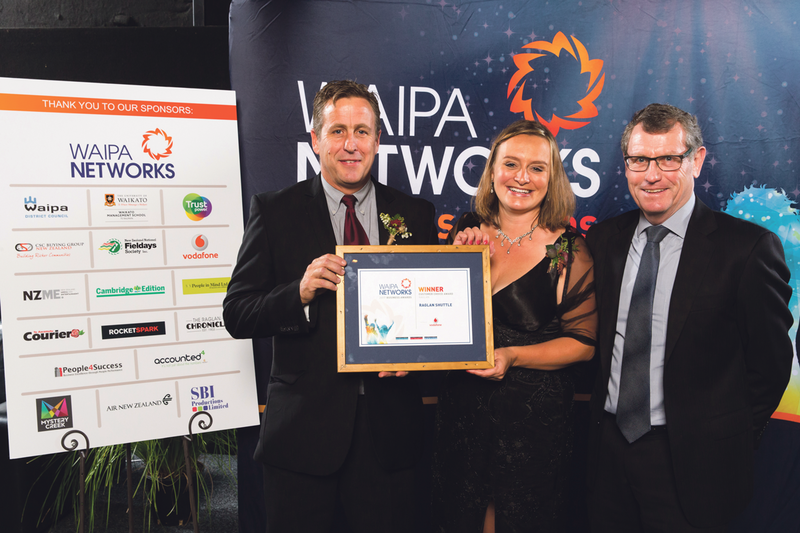 The Awards are hosted by the Cambridge and Te Awamutu Chambers of Commerce, in partnership with the Raglan Chamber of Commerce, to celebrate the business success in the Waipa and Raglan areas. 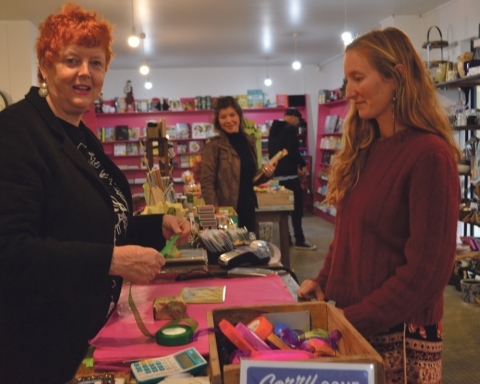 Nominees from Raglan included Raglan Buds Flower Farm, Raglan Four Square, Raglan Rock, Raglan Shuttle and Xtreme Zero Waste. 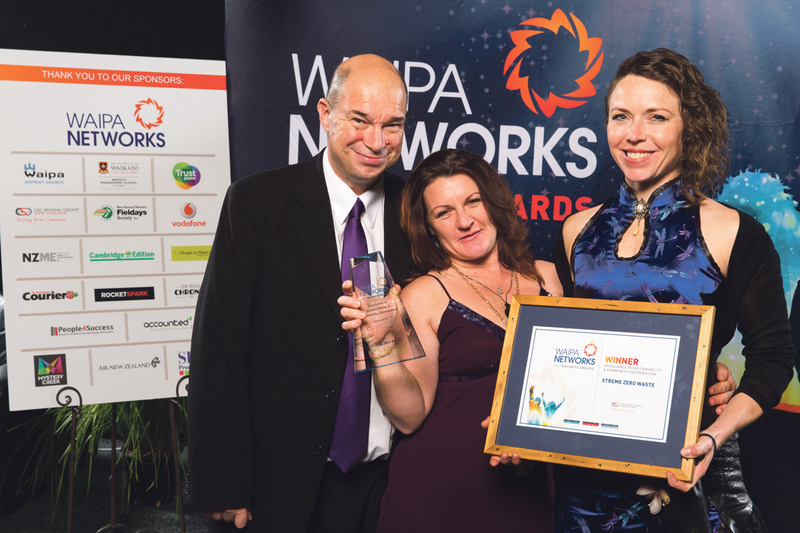 Winners were announced at the Gala Awards Dinner, held at Mystery Creek Events Centre, on Friday last week. 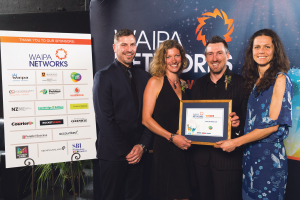 Xtreme Zero Waste was awarded Excellence in Large Business, sponsored by NZ National Fieldays Society Inc, as well as the Excellence in Sustainability and Community Contribution, sponsored by CSC Buying Group. “We are so honoured to be recognised for these two awards. This is a true reflection of the hard work our crew have put into developing services for Raglan. It is also a reflection of the amazing community we live in,” said Rick Thorpe, XZW relationship manager. Raglan Rock won the Raglan Customer Service Award, sponsored by Trust Power, and was nominated for Excellence in Small Business, as well. Raglan Shuttle was nominated by the community and awarded the Raglan Customer Choice Award, sponsored by Vodafone. “Choice one Raglan! We won your Customer Choice! Thanks so much for your support and votes to earn this recognition in our amazing community. Phil and I are very proud and even more determined to provide Raglan with the dedicated and reliable shuttle & taxi service it deserves. 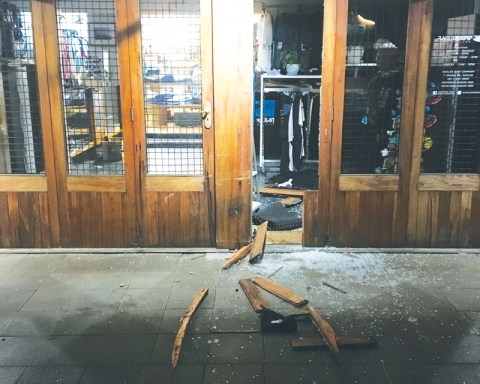 Just remember to look for the 3 waves and you can’t go wrong,” said Emily Meek, Raglan Shuttle director. 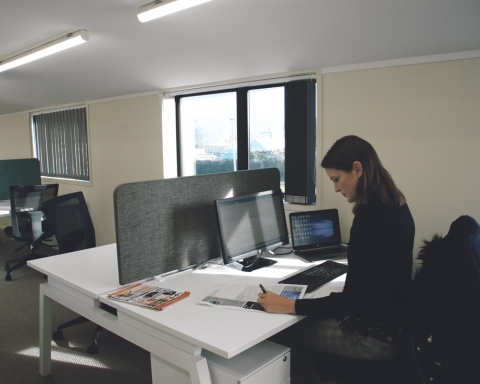 This is the third year the Raglan Chamber has been a part of the Awards, and has worked dilligently to involve the growing business network in the community. “The opportunity to particpate in these Awards has inspired many businesses, and the benefit for the overall Raglan community is significant,” said Morgan Morris, co-chair of the Raglan Chamber. In order to enter, businesses had to provide answers to some very detailed application questions. The application provides businesses the opportunity to step back and look at their overall business operations as a whole. The application is a step-by-step process that looks at each category of a business, from the strategic plan to the financial planning, marketing plan and community contributions. 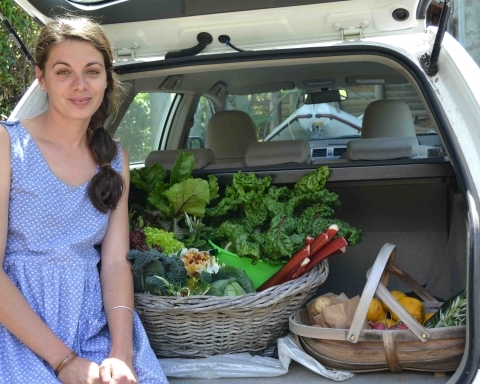 Through the judging process, entrants get invaluable written and verbal feedback from a panel of highly skilled judges, handpicked by the Waikato Univeristy Management School. 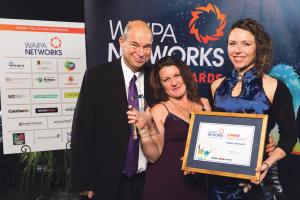 Businesses have the opportunity to network with the wider area at the Awards Gala. 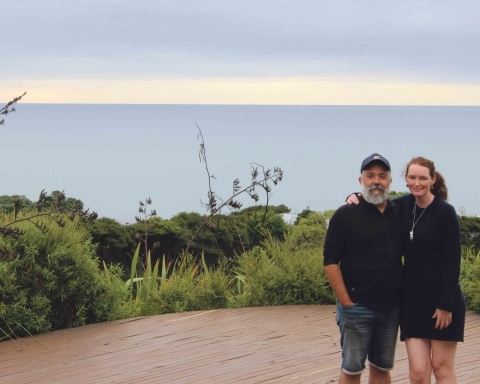 Raglan has a buzzing hive of amazing startups joining the long-standing established businesses that have been operating here successfully for years. 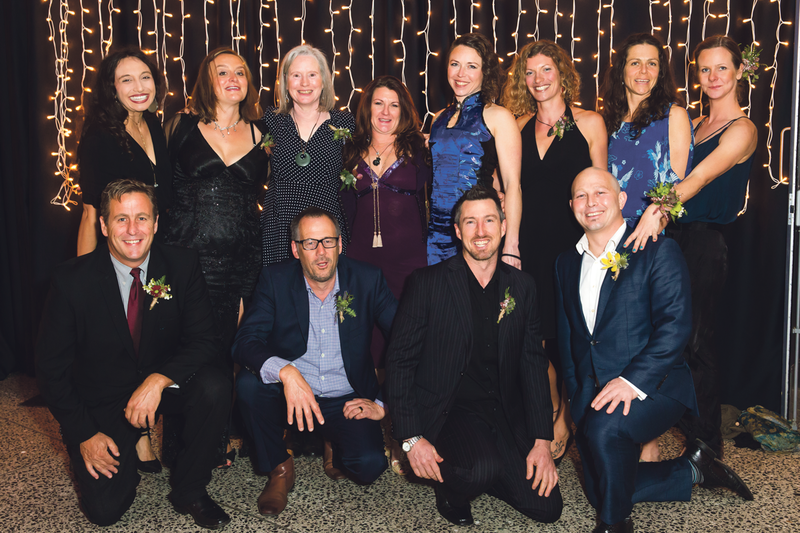 The Raglan Chamber sees the awards as a platform for showcasing the accomplishments and the high calibre of the local business community. Congratulations to all of the entrants, finalists and winners who invested themselves in the Awards process to measure their business against the best in the region. To find out more about the awards visit www.waipabusinessawards.co.nz or email info@raglanchamber.co.nz. All images by Stephen Barker Photography. CSC Buying Group Excellence in Sustainability & Community Contribution winner: Xtreme Zero Waste From left: David Slone, Nenya Chapman and Jo Artemis. (Xtreme also won NZ National Fieldays Society Inc Excellence in Large Business). Vodafone Customer Choice Raglan winner: Raglan Shuttle. From left: Phillip and Emily Meek and Tim Sullivan. Trustpower Excellence in Customer Service Raglan winner: Raglan Rock Ltd. From left: Richard Preest, Anne Windust and Gareth and Sarah Jones.